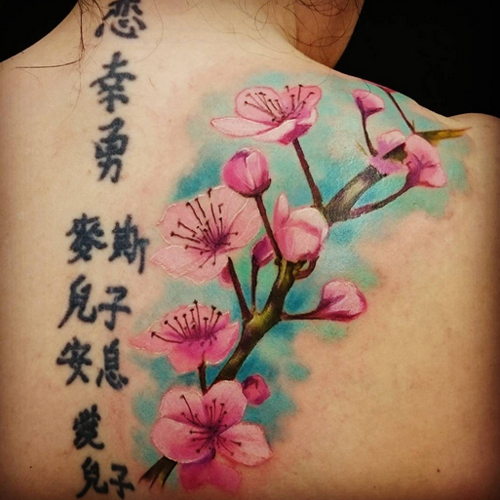 Cherry blossom tattoos are a relatively new concept. They are becoming more and more popular, though. They are deeply rooted in the histories of certain cultures. They are particularly popular among the Chinese and Japanese cultures. Although, not always for the same reasons. So, before you get one, you should be aware of the many meanings they can have. This kind of tattoos symbolizes many things in the Chinese culture. They are an indication of power and dominance in some cases. At other times, though, they can also show feminine delicacy. They can also indicate love and feminine sexuality. However, Japanese culture indicates that these tattoos represent the fact that life is always changing. Change is the only thing you can rely on. Buddhism is the source of that sort of thought, in general. That concept is widely attached to cherry blossom tattoos in Japanese culture because they only last for a short time. Japanese people also believe that a fallen cherry blossom is the sign of a soldier lost in battle. Furthermore, they have been incorporated into Japanese body suits, sleeves and back pieces over the centuries that their individuality has gone a bit by the wayside. Even though they don’t stand alone often in Japanese culture anymore, cherry blossoms are still famous icons in Japan, though. Therefore, these tattoos are equally symbolic. 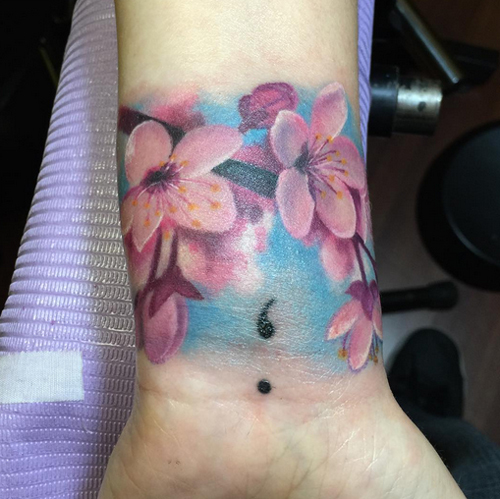 In short, this tattoo is not just a cute addition to your body. Depending on how you look at it, it can mean many things. It can be an indicator of how fragile and short life is. It can remind you and everyone that sees it that we only live once. Life is too short to put things off. It can be a reminder of the life lived, love lost or gained or eternal hope. The next time you look at a cherry blossom, you might do well to keep all of that in mind. If you decide to get one, remember that different people view cherry blossom tattoos in a variety of ways. They should be understood, before they can be fully enjoyed.